Cable track is the perfect way to route the wires for your CNC router. This cable track has a cross section of 75mm (3") x 25mm (1"). 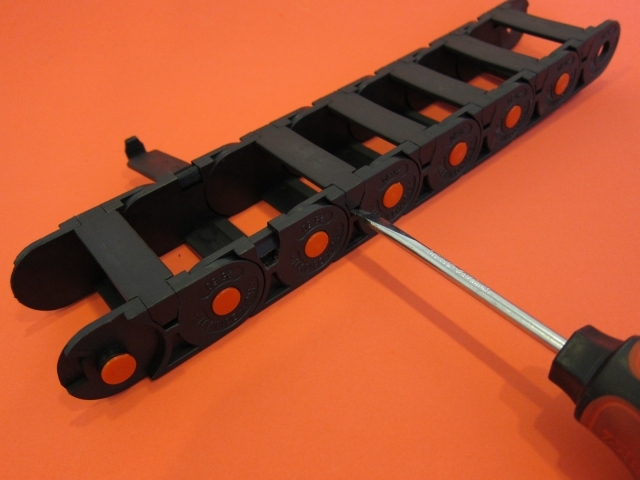 It is available in 1 meter segments with ends already attached, but these can be removed to make longer runs or to use the hole end for a pivot, like we do in our complete cable track kits. This product was added to our catalog on June 15, 2012.